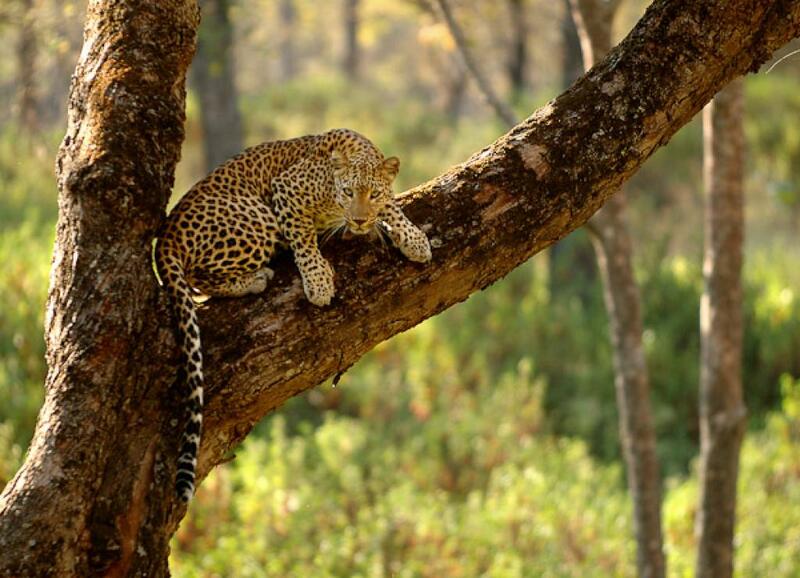 Incidences of wildlife species like leopards (Panthera pardus) and tigers (Panthera tigris) straying into human habitations have been on the rise in several states of India. Usually, a mob gathers within seconds of the large carnivores being cornered. Since these animals are seen as an imminent threat to human life and property, the retaliatory attitude of the emotion-fuelled mob forces often results in brutally killing, injuring or burning them. The risk becomes even higher when the uncontrollable crowd turns the incident into a public spectacle, thereby further agitating the already frightened animal, which ultimately resorts to attacking people in self-defense. Thus, while rescue operations are performed during such wildlife emergencies, it is usually the crowd management that becomes a more prominent part of the challenge than the actual animal rescue. As a remedial measure, the National Board of Wildlife has recommended that state governments use Section 144 of the Criminal Procedure (CrPC) to prohibit the gathering of a crowd during wildlife emergencies. When imposed, Section 144 of the CrPC prohibits the assembly of five or more people at any site, thus allowing adequate space for the forest department emergency response (ER) to operate smoothly. Although imposing Section 144 in such situations is useful, the reality is that mandating Section 144 alone cannot sufficiently help in effectively dealing with the numerous dynamics associated with such wildlife emergencies. In addition to having proper crowd-control procedures, it is critical to emphasise on having mechanisms for the timely execution of rescue operations to avoid any further chaos. At the same time, changing public attitude towards wildlife/wildlife encounters whereby they are more engaged and aware of rescue agencies and procedures is also important. This would ensure that the spontaneous response from the general public upon wildlife sighting eventually see a shift from panicking and attacking, to that of rescuing the animal. The National Tiger Conservation Authority (NCTA) has developed Standard Operating Procedures (SOP) to deal with emergencies arising due to straying of tigers and leopards in human-dominated landscapes. The NCTA guidelines clearly outline the standard procedure for rescuing the animal by capturing and subsequently transferring it to an appropriate place. It also has a well-defined procedure for determining whether the animal is a man-eater and accordingly culling the animal by the wildlife officials. There are guidelines and standard procedures for dealing with other species like elephants and sloth bear too. Although the laws and procedures for wildlife rescue are in place, wildlife activists argue that they are not properly implemented. It has been observed that in most cases, even when the public informs forest officials about wildlife sightings in their neighbourhood, they are often faced with the problem of delayed arrival of the rescue teams by several hours, leaving both public and the animal in a vulnerable situation. Such circumstances demand taking stock of wildlife emergencies and identifying areas where they occur/might potentially occur and strengthening rescue mechanisms there. Some of the examples of measures being adopted in different states for strengthening rescuing mechanisms are: (a) micro-chipping technique to understand wildlife movement in Maharashtra, (b) formation of a Primary Response Team comprising paid and volunteer members from amongst the local communities in Jammu & Kashmir who are trained to manage the situation until the ER team arrives, (c) Project Wild Seve, a helpline service, to monitor and address human-wildlife conflict in Karnataka developed by the Wildlife Conservation Society. There are also some inspiring examples of community volunteers engaging in rescuing activities in case of wildlife emergencies and also training police to help the forest department in tackling such emergencies. Unfortunately, these examples are more an exception than the rule. Media plays an important role in this issue too. The mainstream media’s coverage of human-wildlife interactions tends to lean more towards fear-mongering and sensationalism, painting fierce conflict or violent loss of human life as an inevitable conclusion. Such reporting often ends up molding public perception of human-wildlife interactions with a dangerous bias against wildlife, especially large carnivores, as bloodthirsty animals on the prowl rather than reflecting on their inherently shy nature and tendency to avoid humans as much as possible. This leads to harbouring an increasingly negative attitude in people towards wildlife. It is important for the media to retrospect and change its tone when it comes to covering such issues and frame their message in a way so that it creates sensitivity as opposed to sensation thereby inciting well-informed and appropriate response from the public. Incidents of wildlife straying into human habitations are outcomes of a combination of factors like mounting anthropogenic pressure on forests and shrinking wildlife habitats, coupled with poorly planned conservation and development activities. It is also a result of lack of adequate attention paid to human-wildlife conflict scenarios that leaves both the public and the animal in a largely unresolved situation. With increasing population pressures, there are high chances that the problem is going to become worse in the future thereby making it imperative for the public to not be oblivious, but be more cognizant of that reality and fully understand the circumstances in which animals gravitate towards human-dominated areas. At the same time, it is also essential for the forest department to have a system in place that can undertake rescue missions at a moment’s notice. While these are measures that might allow controlling the situation for the time being, in the future, strategic efforts need to be made towards developing management programmes which ensure conservation of wildlife species and habitats while supporting the welfare of the people. You really describe very well that what and how should we react during these emergencies. You really explained and cleared that what should be our role during this as a common citizen. You put good brief for the government for there better action. Apart from the luxuries which we are offered in the city life,, obviously the rural places or the places where we are actually very close to the nature or the areas where there is forest and greenery, flora and fauna are better for a peaceful life. I just want to put forward a question that where do you actually want to live? ?A place with environmental balance, with rivers flooding each season and with freshness all around the corner. Or do we wanna die in a place full of pollution, traffic and people always busy competing with each other in order to survive?? Try coming in at public sector and see how the villagers have flourished. How the roads are becoming broader and broader each seasonand how infrastructures have been developed.Courtesy to All public sector industries leaving few exceptions apart who are still so much supportive towards the nature in this Morden world, who are apart from saving trees are also constantly checking forest food which balance the animal population preventing shortage of food which lead to the movement of animals from their inhabitation to our residing.